The inspiration for this design actually came from a stamping plate from the Scholar collection by MoYou London. The image is supposed to be spots of ink, like you'd get if a fountain pen leaked, but I thought if you used red instead of black or blue this could also look like spots of blood. I tried to stamp the image but at the moment I really can't master stamping, so I had to rethink how I could do it. In the end I just used a dotting tool. I applied a base of Barry M Silk in Pearl as I wanted maximum contrast with the drops of blood. Obviously I wanted a red shade that really would look like blood so I went with Ciate Boudoir which I think is the perfect blood red shade. I then just took three different sizes of dotting tool to create different size drops of blood, so it looked like somebody was bleeding as they're walking along, and used multiple dots on top of each other to create the pools of blood. The dotting part of one of my tools has come loose and has only previously come out when I've been cleaning it, but this actually fell out when I while I was doing some of the dots. 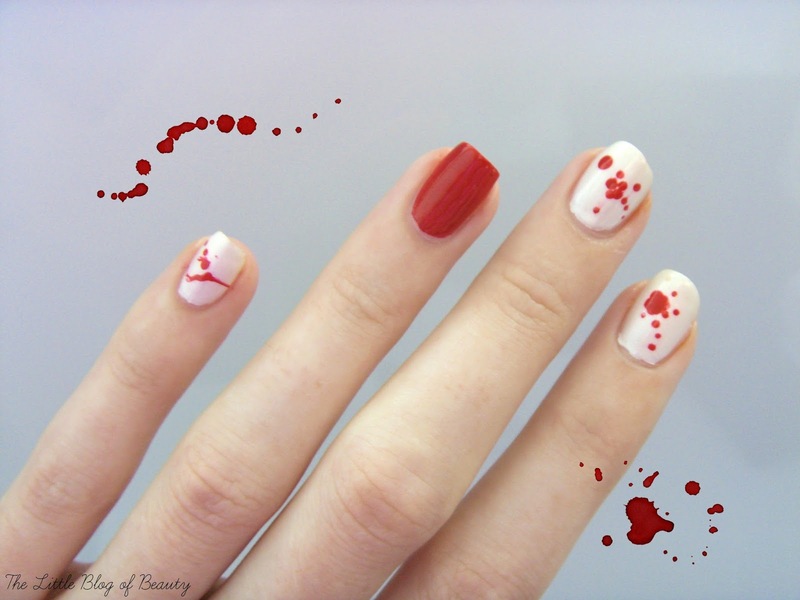 At first I was annoyed thinking it would have ruined my design but then realised that actually it helped as it created the look of smeared or splattered blood. I wasn't sure whether to go for the same design on all of my nails or go for something different on an accent nail and in the end decided to paint the whole nail red to represent a large pool of blood. 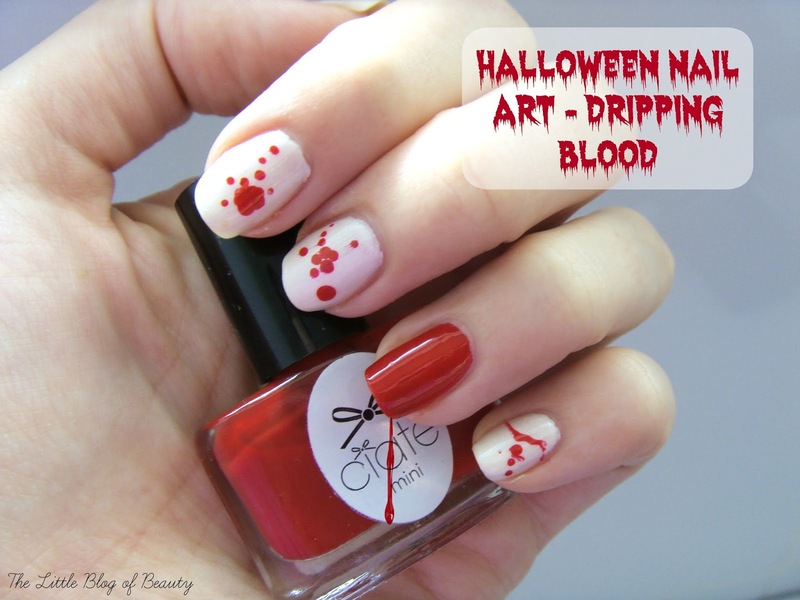 What do you think of dripping blood nails? I love it!! I'm not a huge fan of nail art but this design is so fun and creepy!! I'm pretty sure I won't get to dress up for Halloween so at least I can get my nails in the spirit!